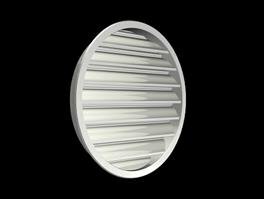 Flangeless Grille diffusers have been developed to keep pace with contemporary interior designs. 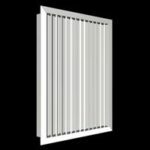 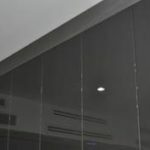 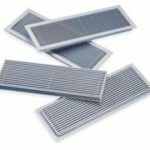 These grilles are versatile and are designed for sidewall applications offering a new approach to interior air delivery. 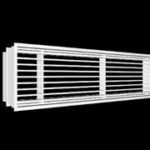 For supply and return air applications, these flangeless frame grilles are the least intrusive sidewall type on the market. 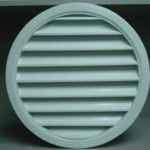 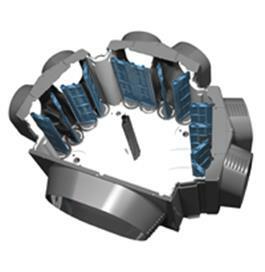 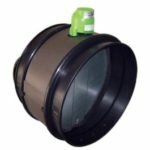 Jet Diffusers are designed to provide an attractive option for heating and cooling large areas. 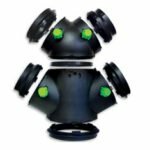 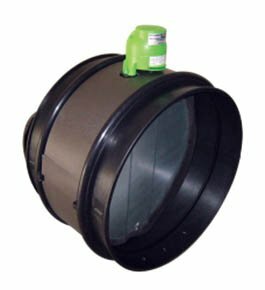 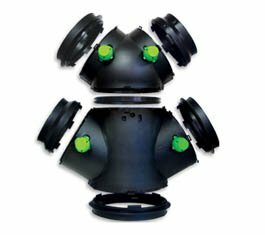 These diffusers are perfect for situations where large supply air quantities and throw distances are required, constructed from three cones that provide a uniformity of appearance through the range. 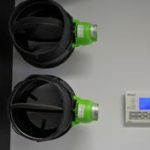 Adjustable air supply nozzles are applied in the supply of cold or warm air in rooms where long throw distances and low noise operation are required. 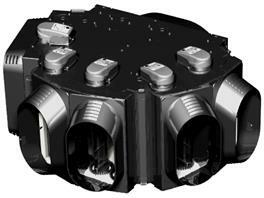 By combining individual nozzles into a block, the throw distance is increased proportionally. 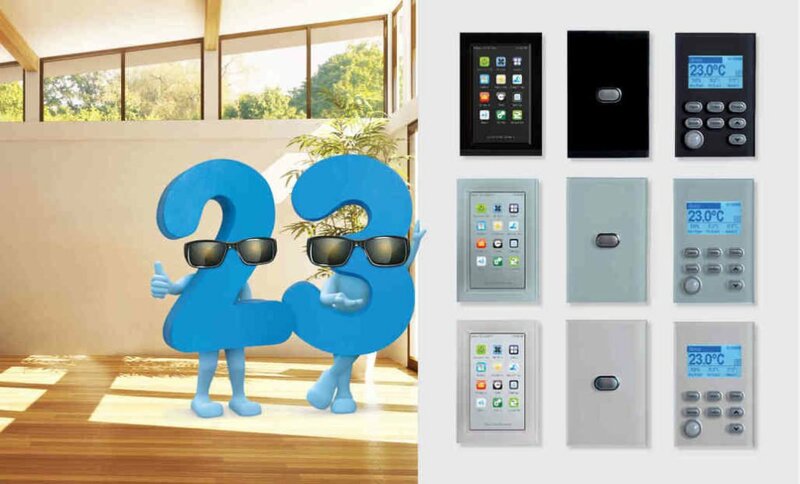 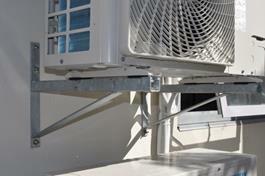 There is a choice of several mounting methods. 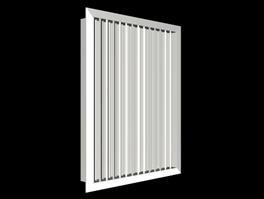 300 x 100 used mainly for gas ducting heating only due to lower airflow delivery. 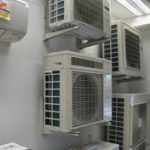 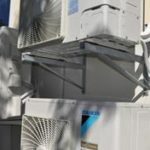 We recommend you always install the larger grilles if you plan to install Add-on Cooling in the future and ensure you utilize upgraded duct sizes at the initial installation. 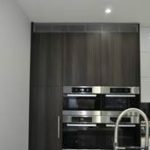 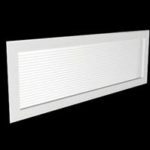 Door relief grilles are designed for use in doors where constant air transfer with vision, non-vision or no light transfer is required. 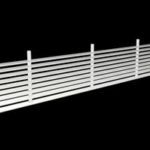 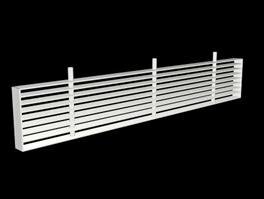 Constructed from aluminum and powder coated finish complete with backing frame to suit door thickness of 30mm to 75mm. 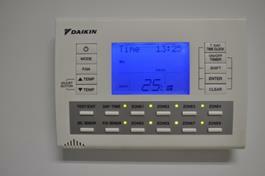 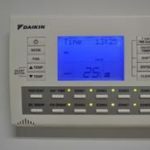 A zoning system provides you with the flexibility to cool or heat independent areas. 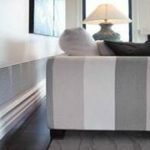 A zone can be a single room, like a lounge room or a designated set of rooms, like children’s bedrooms. 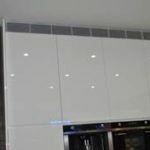 You can also condition your entire home. 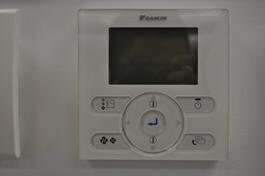 Some zoning system can detect how many zones you are currently operating and automatically adjust its output to match the requirement. 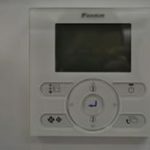 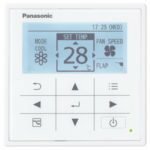 This means that if you only want certain parts of your home heated or cooled, you can, while not wasting energy. 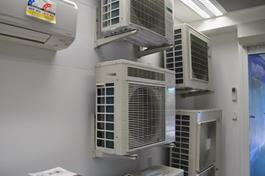 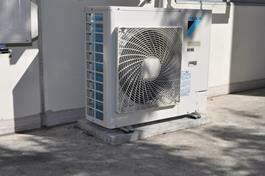 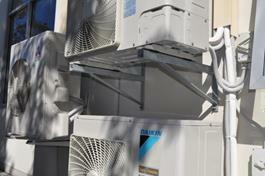 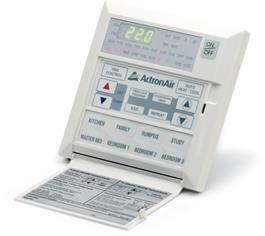 Primarily for plant rooms housing air conditioning plant. 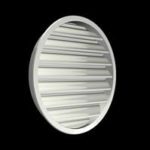 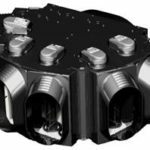 Available in a wide range of options; shapes, configurations, materials, finishes and coatings – to meet the requirements of almost any project from a screening perspective. 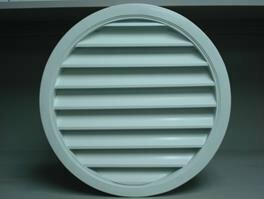 Aerodynamic efficiency reduces air intake and air discharge resistance and therefore saves operating cost. 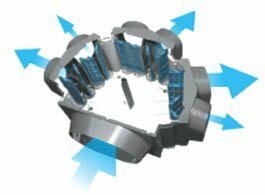 High resistance to rain, enhanced weather protection. 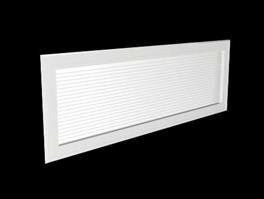 Manufactured from corrosion-resistant materials for durability and maintenance-free operation. 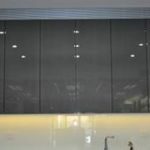 If noise reduction is required, acoustic louvre panels may be used. 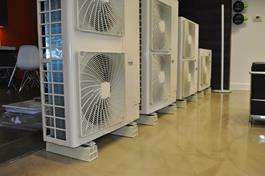 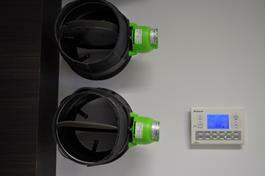 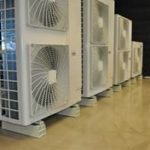 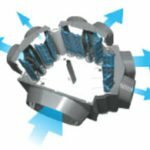 Plant room ventilation louvre systems can be configured to provide the solution to your specific requirements. 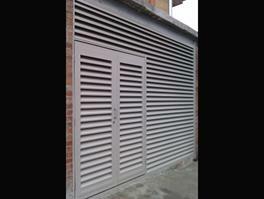 With a plant room ventilation louvre, the possibilities are endless. 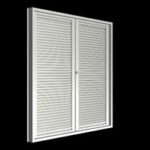 Also a louver door system is available, robustly constructed in extruded aluminum box section to provide the strength required to hang a large louvre door. 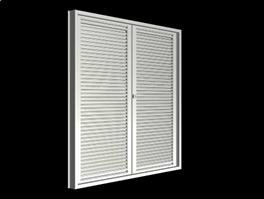 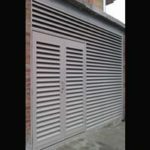 Designed to incorporate all the features that you could think of in an architectural door and still be compatible with an entire range of outside louvers. 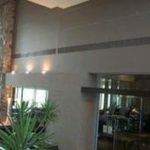 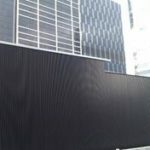 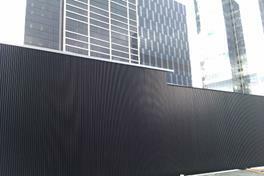 We only use and recommend metal trunking made from Colorbond on the external walls. 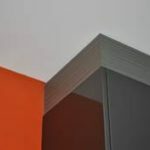 Plastic capping will not last the distance and does not come in many colour options to blend in with your environment. 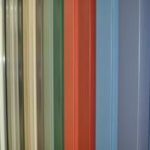 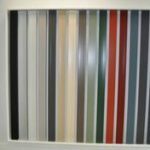 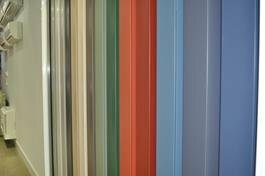 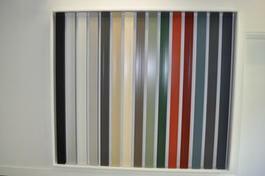 You can match the colorbond trunking to suit your wall, downpipe or gutter colours. 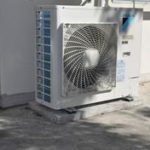 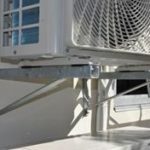 This covering is used to cover and protect the refrigerant piping, insulation, wiring and drains between the indoor and outdoor units from the elements.